Bubi Chen is one of Indonesia's Jazz musicians I admire. Now Bubi Chen has died at the age of 74 years. His career journey is long. He was so good at playing his fingers on black and white keys of the piano, to be able to play beautiful music which gives warmth and inspiration for country music lovers. Here is a profile or biography Bubi Bubi Chen Chen, who comes with his music career journey throughout his life, quoted from id.wikipedia.org. Bubi Chen (born in Soerabaja, East Java, February 9, 1938, age 74 years) is an Indonesian jazz musician. At the age of 5 years by her father Khing Hoo Tan, Bubi handed over to Di Lucia, the Italian pianist to learn piano. At that Bubi can not read let alone understand musical notes. Even so, Bubi Chen could attend classes presented by Di Lucia because Bubi Chen is accustomed to seeing her brothers, Jopie Teddy Chen and Chen, while practicing the piano. Bubi Chen studied at Di Lucia until Indonesia's independence. After that, Bubi Chen follows the classical piano lessons with pianist named Joseph Bodmer Swiss nationals. Once Bubi Chen caught by Joseph Bodmer while playing a jazz arranger. Instead of anger, Joseph Bodmer just say, "I know the real jazz is your world. Therefore, perdalamlah music ". 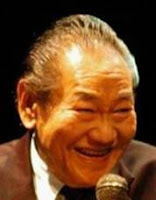 At the age of 12 years, Bubi Chen was able arranges the works of Beethoven, Chopin, and Mozart into the rhythm of jazz. Bubi Chen assess jazz has freedom in expressing creativity than classical music with its own maxims. Some time later began studying jazz Bubi autodidact. He followed correspondence courses in Wesco School of Music, New York between the years 1955-1957. One of his teachers was Teddy Wilson, a pupil of the legendary Benny Goodman swing figures. In the City of Crocodiles, Surabaya, Bubi Chen formed a group called The Circle with Maryono (saxophone), FX Boy (bongo), Zainal (bass), Tri Vitello (guitar) and Justin Syamsudin (drums). Jack Lesmana, Maryono, Kiboud Maulana, Benny and his brother Mustapha Jopie Chen, she also joined the Indonesian All Stars. Indonesian All Stars this group could even go and look at the Berlin Jazz Festival in 1967. After that they were recording the album and bringing forth what is now a rare commodity, "Djanger Bali". The album was worked with a renowned klarinetis from the United States, Tony Scott. Bubi Chen jazz recordings ever made and produced with Nick Mamahit Suyoso Karsono or familiarly called mas Josh. In 1959, with Jack Lesmana, he made recordings in Lokananta. The record is titled Bubi Chen with Strings ever broadcast by the Voice of America and shelled by Willis Conover in 1960, a renowned jazz critic of the United States. He called Bubi as The Best Pianist of Asia (Bubi in 1960 aged 22 years). Bubi also formed "Chen Trio" with his brother and Teddy Chen Jopie year 1950. That same year he also joined the "Jack Lesmana Quartet" which later changed to Jack Lesmana Quintet. Settled in Surabaya, Bubi Chen transmit her knowledge. Some are well known such as Eternal Soesman, Hendra Wijaya, Vera Soeng and Widya Kristianti. In mid-1976, Bubi released recording entitled You and I, along with Jack Lesmana, Benny Likumahuwa, Hasan, and Embong Rahardjo. In addition, there are two other recordings of the exotic, such as jazz experiments with the beat reog. Meanwhile, in 1984, with jazz players like John Heard, Albert Heath, and Paul Langosh, he made recordings in the United States and distributed in Indonesia. The tape was given the title of Bubi in America. "Imagine, an aesthetic autonomy-flute harp beautifully infiltrated by Bubi Chen substitution form improvisation and jazz. Imagine a sacred harmony and almost minimalist, overshadowed by the jazz idioms of the game Bubi Chen along-get along with as wide as possible, even with techniques such impossion super-modern. In engineering alone, it's been interesting. But more than that, Bubi Chen total, flexible, "marry" grip-grip-flute harp, without losing her strong character, also thickened touch and taste a Bubi Chen. Hence, it can be called "Great" "
Or comments Iskandarsyah Siregar musicians, while playing together in the event of Java Jazz "it seems difficult to separate Buby breath with his music." His work overseas. For example, KFAI 90.3 FM radio in Minneapolis, KUSP 88.9 FM Santa Cruz,  in California United States that broadcast numbers from Bubi Chen Global Beat event. As one of the assets of the Indonesian nation, we should always pray for his health and may still contribute to the development of jazz music, especially in Indonesia. Bubi married to Anne Chiang in 1963 in Surabaya, and is now the father of four children. In 2004, Bubi Chen received the Satya Badges art dedication of former president Megawati. A year later, in 2005, Peter F. Gontha the title of the first Java Jazz Festival Jazz musicians honored as Living Legend to Bubi Chen. Bubi Chen also received Life Achievement Award from the Governor of East Java, Surabaya as assessed has introduced to the international world through jazz music. The award was given on the mat Wismilak The Legend of Jazz, held in early 2010.